Article and Pictures by Tony Matthews of Superfly Autos. TIMLESS KUSTOMS TWIN-CHARGED PRO-TOURING MONSTER FORD MUSTANG CALLED ‘VICIOUS’. Commissioned by owner Chris Marechal, Vicious had humble beginnings as a 1965 Mustang Coupe, but Timeless’ Jason Pecikonis and crew wasted no time taking off the original roof and grafting a fastback from the sheet metal masters at Dynacorn and then placed it on a custom Art Morrison chassis with Corvette- based suspension, utilizing Ridetech Triple Adjustable coilovers. 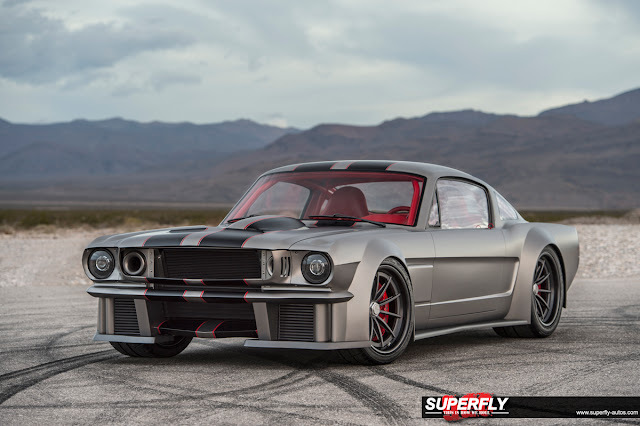 This wide-body Mustang features a twin-charged Ford Performance 5.1L Aluminator engine built generating over 1,000 horsepower thanks to a Magnuson MP2300 TVS Supercharger and twin-turbochargers from Precision Turbo. Exhaust gasses leave through a custom MagnaFlow exhaust system exiting from the center of the Timeless Kustoms-designed rear diffuser. All of this is managed by a MoteC ECU controlling the powerplant and the EMCO Gears CG46 sequential six-speed transmission mated to a Centerforce DYAD clutch. To keep things comfortable in the cabin, the team from Vintage Air stepped in to provide a custom heating-only solution giving this car the bare minimum of creature comforts needed in such an extreme vehicle. Fueling needs are serious on a build of this caliber, so Aeromotive stepped in with dual universal Eliminator Pumps, a Pro-Series regulator and fuel rails. Jason Pecikonis calls “Vicious” “The ultimate road race Mustang with a street car environment. It’ll be nine-tenths race car with one-tenth street car and is an exercise in performance first, before the visual.” Timeless pushed the envelope as far as what the car was going to look like in the end, putting function over form nearly everywhere. On a car this fast, serious brakes are a must, so Timeless turned to the folks at Brembo who spec’d massive 15.5-inch carbon ceramic rotors 6-piston calipers in front and 4-piston in the rear. Vicious rolls on 19” centerlock forged GT3C wheels from Forgeline, wrapped in Kumho V720 tires, the same used on the 2016 Viper ACR, measuring 305/30ZR19 in the front and 355/30ZR19 in the rear. 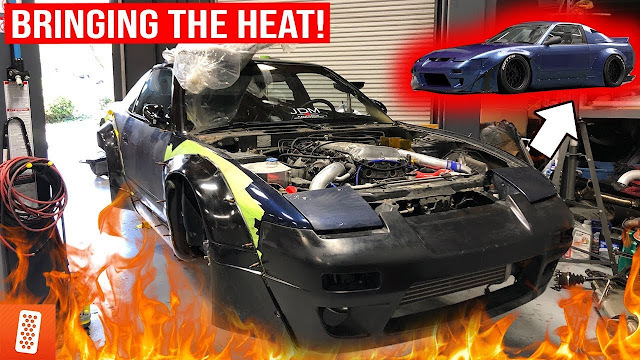 Safety measures are a must with a track car, so Vicious utilizes a DJ Safety Fire Suppression System in case of emergency and Sparco seats with DJ Safety harnesses.